Toshiba India, a subsidiary of Toshiba Corporation, Japan, has launched two new series in its laptop line - Satellite L740 and L750 series. New Sparkling series is made for customers who understand luxury and comfort by letting them choose the color and surface. For stylish laptop users, this is where fashion meets advanced function. In addition to providing stable, reliable performance and impressive value that “worth every penny” , sparkling series have fun color choices like classic silver, attractive dark brown and pride black to meet the personal tastes and styles. New Series has high-end IMR surface (In Mold Rolling), added style and new level. Satellite L740 and L750 series offer a stylish design suitable for use at home or work. Two series have bright surfaces in 3 appropriate color choices to make a style statement, while the large keyboard and touch pad with Multi-Touch Control provides the comfort and convenience. The two series support everything essential for everyday computing tasks. Latest processor from Intel with integrated graphics and high-speed RAM, has capable of expanding up to 8GB, enabling fast performance and the ability to run multiple programs, thus providing superior performance. Capacity of SATA hard drive is up to 750GB allows users to store hundreds of documents, photos, music and video, more highlight HD LED screen. Celar SuperView LED screen 35.6cm (14in) in L740 series and Clear SuperView LED 39.6cm (15.6in) in L750 series is also very suitable for browsing, high-definition video or other office materials and applications. Two stereo loudspeakers provide a rich audio experience, in addition the integrated webcam and microphone make it easy to set up a live video conference. 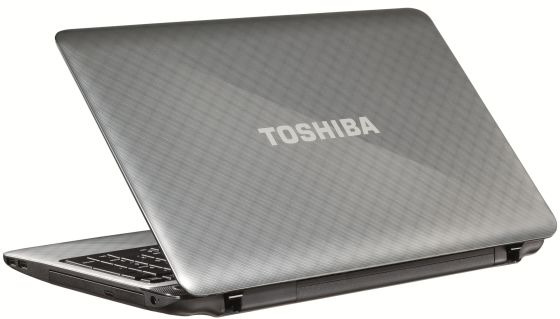 Sparkling Satellite L740 and L750 series provide total 14 laptop types to choose, with prices from 24.000 rupees or more. All laptops of sparkling Satellite series comes with one year warranty. Asus Technology, the world's leading brand is led by innovation and commitment to product quality, released ZENBOOK that combines masterpiece design and incredible performance. ASUS ZENBOOK is designed to be able to enjoy easily with no compromise on performance. It has the perfect balance of elegance and strength in an ultrabook. The first impressive ultrabook from ASUS, is available in 11.6-inch and 13.3-inch version, focusing on user experience and more aesthetic than any ASUS laptop before. ZENBOOK is designed with instant on feature helping the system boots up in about 2 seconds and has incredible standby time, 10 days, 4 times longer than the industry standard. Despite looking slender and beautiful, ZENBOOK is packed list of impressive technological breakthroughs and no compromise. It uses 2 generation Intel Core processor (optimized for mobile use), 256GB solid-state storage SATA Revision 3.0 (SSD), BluetoothV4.0 and USB3.0. ASUS also adds USB Charger+ technology, which uses the USB 3.0 port for charging mobile device with shorter time than normal. ZENBOOK UX31 will be available in India for 89.999 rupees. - iOS Tips (Part 2) - Is apple doing away with physical media? - Is Small Beautiful, Or Is Bigger Better For Ios Devices?